Homeless people are the men and women who live on the streets of our city, as they do not have a place that they could call their own. Often clad in disheveled outfits, they do not have the resources to be able to tidy themselves up. For those who are touched by their circumstances, they would lend some coins to aid the homeless, but that would be about it. 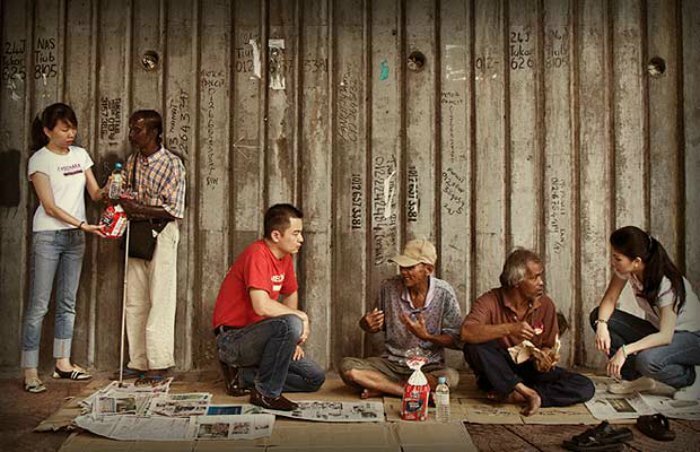 With the rise of homeless people in Malaysia, it is only time that someone should extend a helping hand to these men and women. Therefore, following the recent launch of a temporary shelter for the homeless at Lorong Medan Tuanku 2, the issue is now starting to see some form of a resolve—at least for the 1,850 homeless people in the city. Pakcik Jamil may just be one of the almost 2,000 people who do not have a home to call his own. The only place he could find shelter in, is the streets of Chow Kit where he has been living for the past few years. He had a wife and a child but they somehow abandoned him to survive on his own. 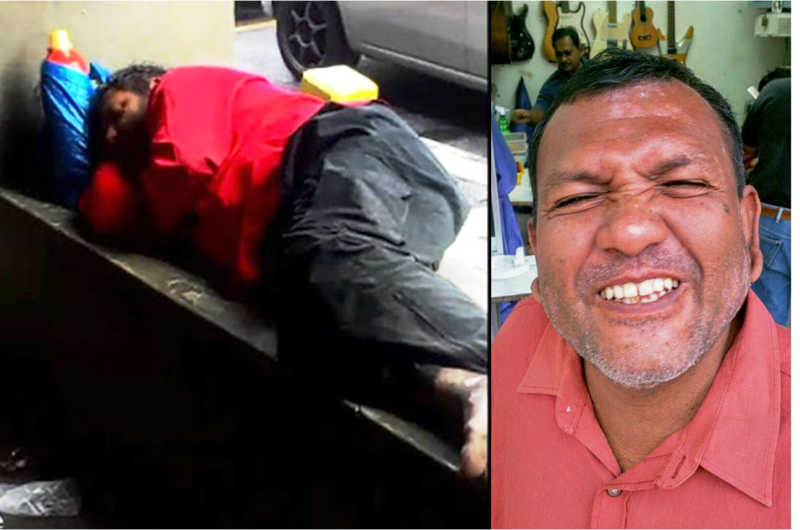 Besides that, Pakcik Jamil also has some skin disorders alongside his hearing and speech issues, and that makes life of living on the streets all the more harder. For many, the life of one man does not make much of a difference but it only takes one person to create a ripple of kindness. In this case, it took one organisation to lend their generosity. 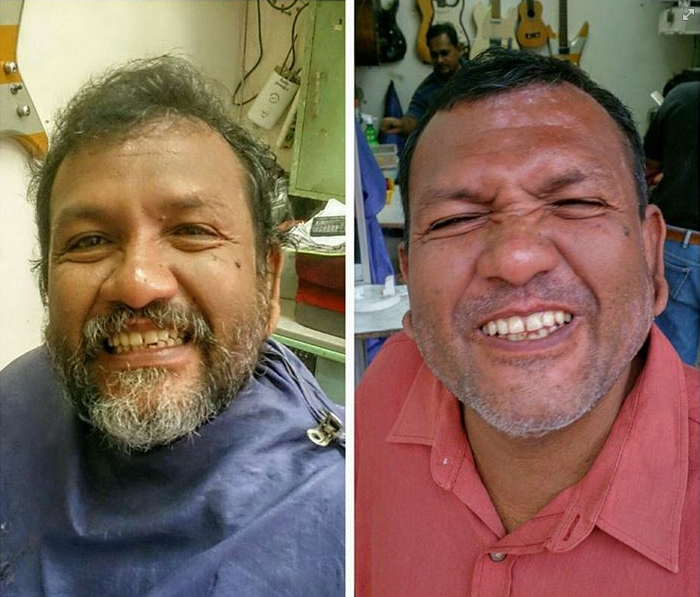 Kindness Malaysia recently gave Pakcik Jamil the makeover he deserved and in return, the older gentleman’s gratitude was in abundance. He was brought by several volunteers to get some clothes and footwear. 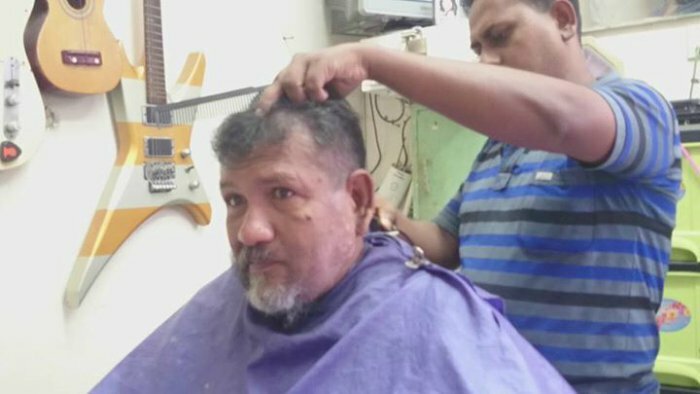 Not only that, he was also treated to a lunch, a haircut and got some medicines and toiletries along the way as well. This simple act of kindness seems to be a long forgotten ritual in our country, but for the elderly, it is really appreciated. When the volunteers took Pakcik Jamil out for the day, he chose smaller outlets to get the outfits and said that one change alone would be enough, despite being offered five pieces of clothing. He also chose a small eatery stall to grab something to eat and was delighted when he was brought sightseeing around Kuala Lumpur, as he has not sat in a car for more than a decade. What was apparent from all of this, is that many think that it takes a lot of effort to help others, but simple things like paying them some attention is more than enough to make them happy. For instance, on the day of the trip, Pakcik Jamil was always seen with a smile on his face and even posed candidly for the shots taken. One takeaway from Pakcik Jamil’s story would be that he could represent anyone’s parent or grandparent and nobody wants to see their own family in a sorry sight. What the volunteers did by treating the elderly man like their own family, is something which helped create a difference in his life.